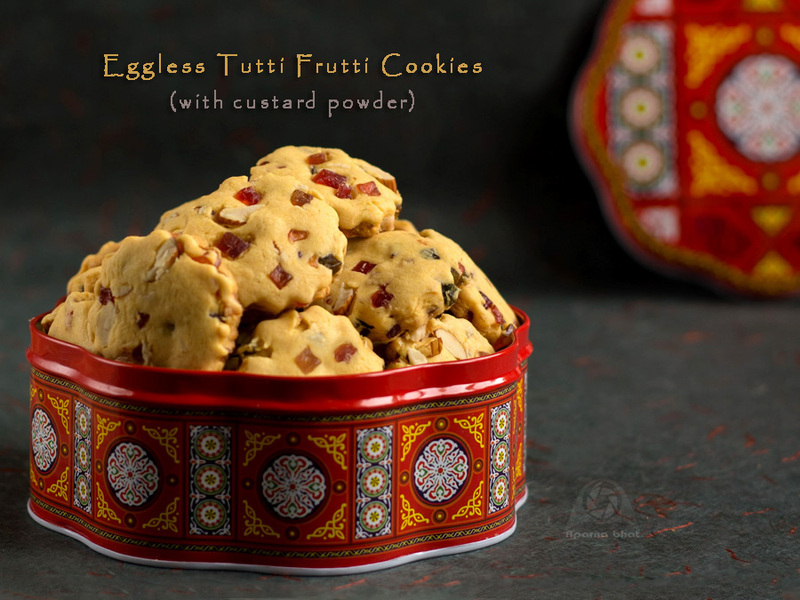 The baking season is on, so why not try these eggless tutti frutti cookies for this festive season? 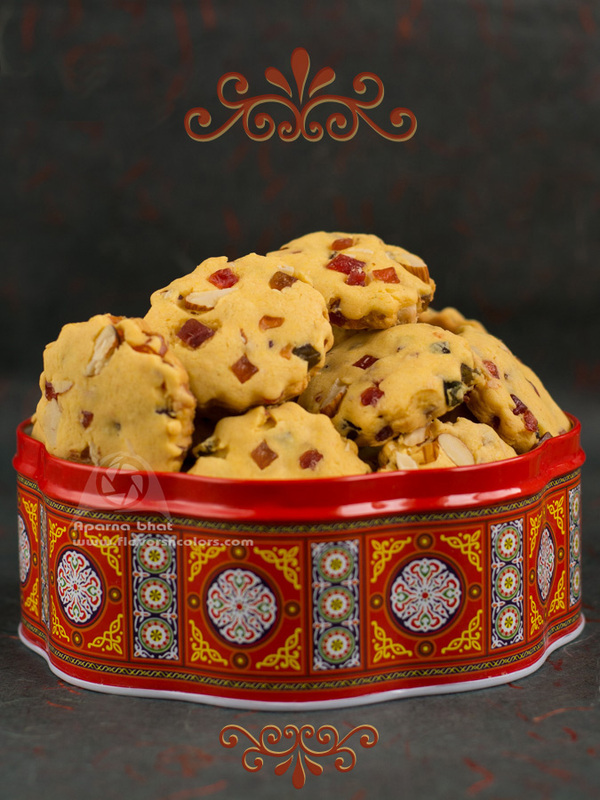 The colorful tutti frutti in these biscuits that represent colors of Christmas are sure to attract attention of kids, family members and friends. Sift the APF, baking powder and custard powder in a bowl. Add cardamom powder, tutti frutti and chopped nuts. Mix it well and keep it aside. Beat the butter and powdered sugar until it becomes light and fluffy. Add rose essence and whisk it well until all gets combined. 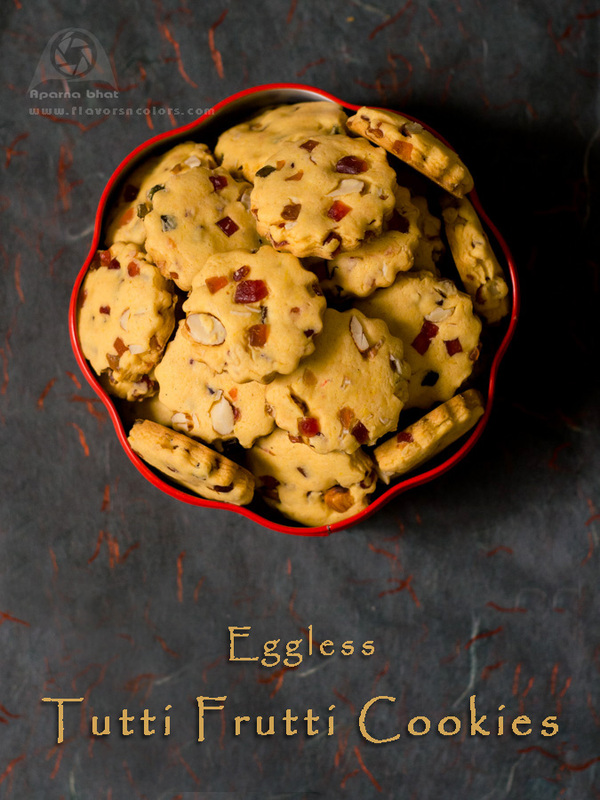 Now add flour and dry fruits mixture in batches and using your fingers incorporate the butter into the flour. Add milk as required to make a soft dough. Do not over-knead the dough. Wrap the dough in cling film and keep it refrigerated for 30 mins. Preheat oven at 180 deg C for 10 mins. Arrange the cut cookies on baking tray leaving enough space in between and bake them at 180 deg C for 15 mins or till done. Once cooled store them in an airtight container and enjoy with your cup of tea/milk !